When I joined American Way, I was (am) shy, was “not from here,” had no contacts, had never sold anything, did not own a home. Bankers and financing filled me with fear and dread. I reached a comfort level with both by accompanying my clients on their in-person loan applications with their lenders. I began taking courses immediately toward my GRI, toward obtaining my Broker’s license, and then toward the CRS designation. I learned so much at “the back table” listening to war stories of experienced agents and taking advantage of their suggestions. Even today, I rarely miss our weekly office meetings, weekly new-listing caravans, weekly mortgage updates, and frequent training videos. From the beginning, I treated this as a Real Job. I was in the office every day by 8:30, as if it were a requirement. The office itself is my home away from home and I’ve always been allowed to make my space my own. This is important to me and appreciated more than anyone knows. I love bringing clients and friends here and think they feel welcome and at home too. I stayed in the business because of the satisfaction that comes from doing a clearly defined job well, a job with a finite result called a Closing, for Buyers and Sellers that inevitably became friends and often long-term returning clients. I like the routines that handling details requires and the surprises that challenge your creativity and your ability to make it happen. As no two people are the same, no two transactions are the same, no working day is the same, and few days are ever boring. I love that my work allows me to be out in the world in this beautiful part of the Country. I like that I’m responsible for my own success. As as a woman, I am proud of an income that I probably couldn’t have achieved in another career. 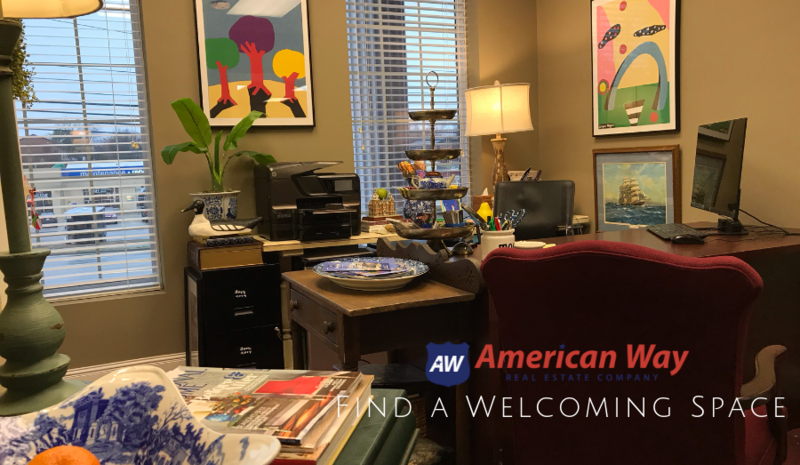 If you would like to talk to Susan or get started finding out about our company contact William Baugh at 931.526.9581 or email him williamb@american-way.com to get on your way today.